IT Glue is designed for IT professionals. We focus on the managed service provider (MSP) market. MSPs swear by IT Glue, handing it over 30 industry awards in the past two years. One look and its not hard to see why. IT Glue automates and structures the documentation you need to serve your customers. The results - 50% or more of the time your techs waste looking for information is eliminated. Reducing time waste leads to increased productivity, better customer service and ultimately, to higher margins. Sign up for a demo and find out why IT Glue is an essential part of every MSP's stack. IT Glue Reviews Recently Reviewed! Pros: What this really has going for it is the ability to link items, a SOP can be linked to other procedures and documents allowing you to hand off documentation and have all the related materials linked to the one Item. I also like that their team does not seem to be resting on the product as it is, there are continual improvements and exciting things roadmapped for the future. Cons: The platform lacks the ability to archive passwords that are no longer in play for former employees and the like. This has been on the community wishlist for quite some time with no indication of when or if it will be released. Pros: The ability to tag different items and configurations within ITGlue allows us to document all of the impacted components in an IT system. For example, we can document the virtualization environment for a client by tagging the physical hypervisors, the virtualization license, the VMs that are hosted on the hypervisors, the credentials used to access the hypervisors and the virtualization environment, etc. This has greatly reduced the time needed to support our clients. 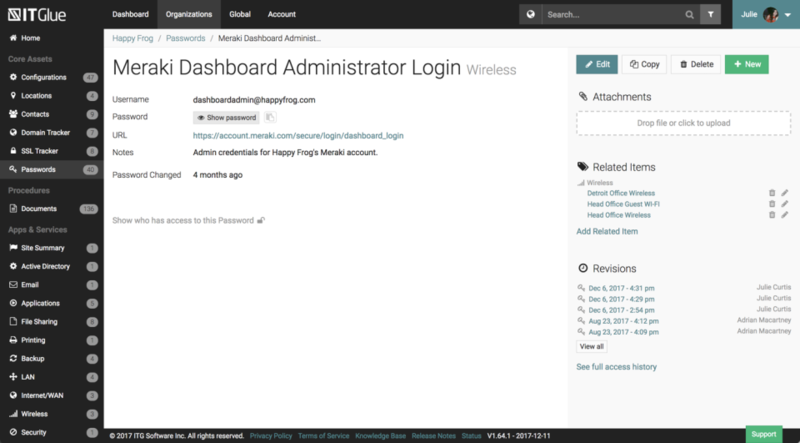 I also like the integrations with ConnectWise and Kaseya. Cons: There isn't much that I can say about ITGlue that is negative. I would like the ability to export a runbook for a client into PDF. I know they are working on this feature but it isn't available yet. Pros: The flexible asset system helps you tailor the experience to your individual needs - the default templates were good but being able to easily customize them made them better. 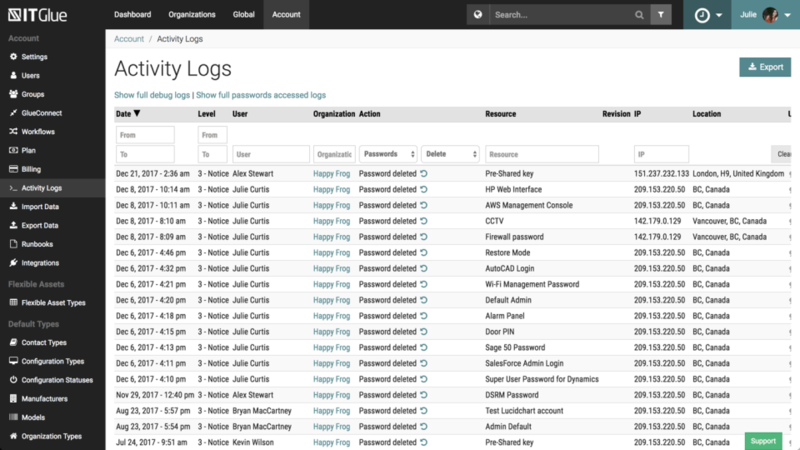 The audit log is helpful for seeing changes made in the system and is useful when an employee leaves, so you know what passwords need to be changed. If configured properly, the Chrome extension saves time when logging into various websites. Lots of integrations with PSA/RMM systems. Cons: The company has filled a niche in the MSP market for documentation. They don't have many competitors. As such, they use this as an excuse to price gouge their customers and provide customer service that basically says "if you don't like us, good luck finding another product". They boast how they are constantly "upgrading and adding new features". What they fail to say is these new features are only added to their most expensive subscription plan (Enterprise) - which for smaller companies is completely overkill. 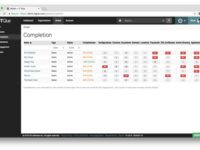 The most requested feature for the last 5 years, Runbooks, was finally added and made Enterprise level only. This is the only way to neatly export your companies data out of their system in an easy to read and organized format - feels like a hostage situation to me. They like to pretend like the Basic/Select plans don't exist, and even went as far as trying to trick me into signing up through a link that was configured to Enterprise subscription when I specifically stated I was only interested in Basic. The "onboarding fee" is just a money grab. I did not feel I got my "money worth" when onboarding - they just sent me some youtube videos to watch. We use the software at our company because we needed the service it provided, which it does well. But as for the company itself, I am less than pleased. If there were better options, I probably would have chosen differently. Cons: The Password manager is lacking allot of features we reacquire for control/Management. There no integration really to share the passwords with other software. The encryption and security of the SaaS offering is higher risk then I would like due to the use of a single encryption key for encrypting all data, this also give IT glue employees ability to access customers data. Overall: We been using IT Glue for a few year and it was good for our needs then, but are ,moving away to a competitor in 2019, due to the Cons noted. The single best platform that our MSP has invested in. Easy to use, setup, and get going. Pros: IT Glue has helped us centralize ALL the information for all clients that resided on our technicians heads. Not only does it store passwords wonderfully, but it helps create a "story" for each customer by allowing us to embed passwords, documentation, configurations and everything else to every entry. Has revolutionized how our MSP handles documentation. Thank you IT Glue. Cons: Not much. The apps needs a little work since I have to log in almost every time and touch ID is hit or miss. Pros: The ease of use is spectacular, all sub-categories all clearly labeled and anyone with any amount of experience can easily create and edit documents. Cons: The licenses for IT Glue can be quite pricey, however, they are ultimately worth it, the integration alone makes up for the costs. Cons: They just added the one thing i always complained about. The favorites and recent companies option. Thank you for listening to the customers. Overall: We store all our crucial information using this software/site. It is beneficial and really easy to use. You can teach someone in minutes how to setup documents and the site even helps you.very impressed. Pros: Solid, functional UX. Helps us do what needs to be done documenting our clients IT infrastructure. Definitely the most complete and user-friendly product on the market for this. Cons: Support is email-based only. Long turn-around time to get support responses. Had the product for 18 months and haven't talked to a live person since the onboarding. In fairness, i've only needed to contact support on a handful of occasions since then, but that may be only because its so cumbersome to do so. Overall: Innovation and addition of new features is slower than i've expected. But i know their growth has been exponential in the past 2 years. Pros: Our company moved to their platform a couple years ago from a clunky homebrew, in-house solution (mix of file sharing and excel docs). IT Glue helped us to eliminate all that by having a centralized web accessible company wiki. Cons: The built in search engine could use some improvement. Everyone expects something akin to Google or Bing and their search engine can only intelligently pick up strings used in document page titles. Pros: The best part of IT Glue is having the pre-build forms and integrated 'build-as-you-go' documents for users who are not very documentation oriented. Cons: One feature we would like to see is 'live' documents. Dynamic content and documentation keeps real time documentation fluid with our clients changes and projects. Overall: The biggest benefit is the mobility of IT Glue. Having the ability to access critical documentation from anywhere is crucial for our organization. 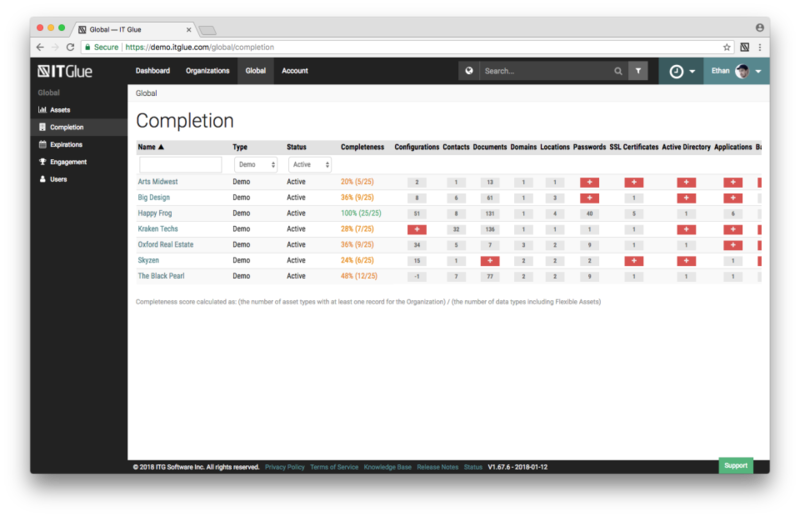 Pros: IT Glue's documentation platform is second to none for us. It has made it easy to put in the procedure guides our techs need every day, and it has made it easy to keep track of client's assets. One of the biggest things has been the integrations with our other platforms, and those have been massively helpful as it has saved us countless hours. Cons: A little on the pricey side, but nothing that I've ever felt ripped off by. It definitely requires you to think through how you want to structure everything BEFORE you start putting it in (learned that the hard way). Pros: I love everything about this site. The documentation is great. You can add businesses separately, then for each business you can add password sections, documents, licensing, configurations, contacts, Printing etc. It has so many options it feels limitless. The search feature is also amazing for this site. Cons: I do not think there is anything worn or bad about this site. Pros: When it comes to maintaining the most important information for your clients, IT Glue is perfect. You can create configurations for passwords, knowledge base articles, documents, system information, and Automate is an essential tool in MSP. Its easy to use and the user interface is great. Its my favorite MSP tool. Cons: Certain permissions are limited for basic users. Deleting knowledge base articles require certain permissions, so make sure to have to a clear understanding of how to manage IT Glue. Probably the best IT documentation software. Pros: The software is almost 100% customizable, It has made it so much easier for us to find configuration items, credentials, etc for all of our clients. Cons: The ONLY thing that I have found so far that I do not like about the software was the new facelift it had for the client list. I prefer the clustered list with images instead of just the list of clients. 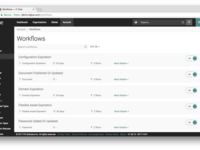 ITGlue is a great tool/platform for building your documentation library. Pros: It is very easy to use and intuitive to search. ITGlue helps my organization organize information on a per customer basis, which is critical for an MSP. Cons: New features are sometimes slow to develop. ITGlue's mobile usability is not stellar. Improvement in these two areas would make ITGlue perfect. Overall: Being cloud based makes ITGlue available anywhere. Historical tracking of documentation updates is invaluable. 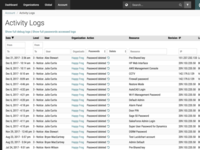 Pros: This has allowed us to keep more of our documentation in one place with great logging of who accessed what. Cons: Still a very manual process to document so much that it takes a lot of time from the technical side to keep up with it. Great product overall. Very customizable. Not just a password manager. Pros: Product is extremely customizable. The ability to relate/link disparate items and passwords works fantastically. Cons: The synchronization with ConnectWise feature often creates duplicate items, which can cause confusion. I would like the ability to granularly set permissions even on embedded passwords, rather than have them forced to inherit the permissions of the parent item. ITGlue is an invaluable tool for the IT industry. It has become a foundation for our operation. Pros: I think what I like most is ITGlue's portability/flexibility. I'm a field technician, so having client documentation on the road is essential. Cons: There are still a lot of highly requested features in development that I would love to have. My biggest gripe is their phone app. It has quite a few issues and requires signing in every single day. Pros: IT Glue is Very simple to use. Documenting new clients networks and office setup with this software has become a treat. We have even found many things that we didn't realize we wern't documenting properly before. Cons: IT Glue hasn't released an add in for Firefox. My only real complaint would be why didn't we switch to this software earlier. Great Documentation tool to make the chaotic day to day so much easier. Pros: I like that you can save so much information on i.t.GLUE, you can also have the ability to easily find and keep things organized. Cons: It is a tedious process to manually input the information into i.t.GLUE. Also is not fun when you have to manually remove that information as well. Could be simplified in some way. Overall: Organization which keeps the company and myself productive. Heavily Rely on this product. Pros: IT Glue has changed the way we share sensitive and critical info in my business. So many lost things we have found stuck here in the best place for it. Cons: I wish it had a few more integrations, such as with Kaseya BMS. I also wish it were a bit more intuitive to move around inside the website. Overall: It has made our job easier, quicker, and more efficient. 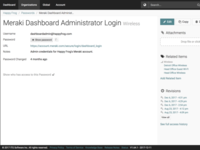 ITGlue makes documenting managed services client environments easy - easy enough to actually DO! Pros: The ITGlue user interface encourages users to interact with the tool by tracking site use and individual participation. Cons: I would love to see more templates available from ITGlue and the community. As I get more familiar with the tool, I plan to contribute some of our own designs where appropriate. IT Glue has been a large step in the right direction for our company. Pros: IT Glue is well organized and laid out well. It is easy to use, and train new people how to use. IT Glue also has great search features. Overall: Our documentation has improved dramatically! Pros: IT Glue integrated with our other tools and can import a lot of info, significantly reducing the workload of documenting our environments. Cons: The interface takes some time to get used to as it does not always have a consistent design. Transitioning from customer documentation stored in several placed to IT Glue was a breeze. Pros: In the past we kept customer password in one system , documents in another. We love that IT Glue keeps it all in one place. IT Glue captures so much more that we could never have captures using spreadsheets and shared folders. Our operational maturity took a huge leap forward when we moved to IT Glue. Cons: Price. I would only ever consider their enterprise product which, if you have a large team, can become costly. However, the benefit of having it all available in one place and the ease at which it can be accessed outweighs the price drawback. Pros: Very easy to setup and use; gives a good place to see information for users/servers/devices. Would recommend for keeping track of settings as well as documents and devices. 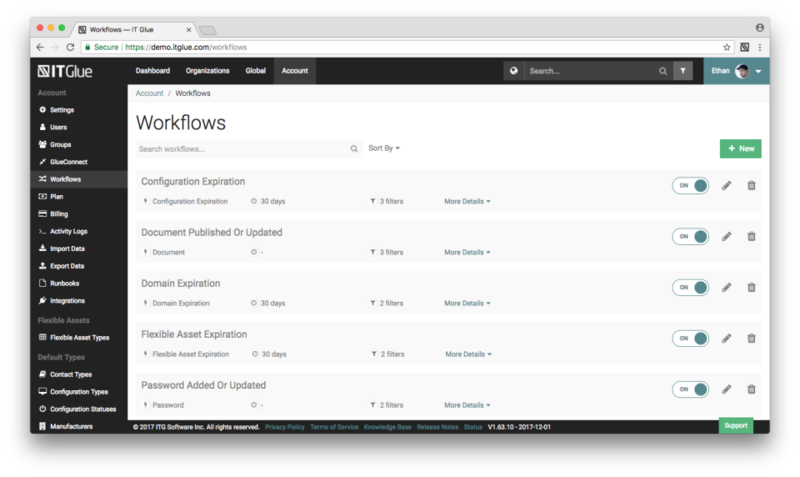 Pros: This software makes it easy for us to keep all our KB (knowledge base) information in one place. It's awesome that there are places to enter specific client information, so we are more likely to make note of that info; it's a good reminder. I like that you can link documents to other documents. Cons: The search feature leaves a bit to be desired. It's a little difficult to find certain things if you don't have a standard naming system for your files. Cons: Due to the way it saves data with "Glued" links it makes it difficult to import from other places. A few of the terms they use for objects can take a bit to get used to. Very easy, and self intuitive. Pros: The link between all different assets, it gives end users, and new technicians clarity on even on things they have never worked with in the past. Cons: Document folders are not able to make public. we have many customers that we want to share our KB's as a resource of KB's and not have to share / link to each file individually. Pros: It's very easy to use, update and organize. All of our techs are able to go in and easily update information so that everyone has access to what they need. Cons: There are no cons at this time. Everything has been easy to set up and organize. It's very easy to find the information needed.